Friends of Saumarez Park Playground LBG* is dedicated to the achievement of a new exciting playground at Saumarez Park in Castel, Guernsey. This has now become the biggest and best playground in Guernsey. 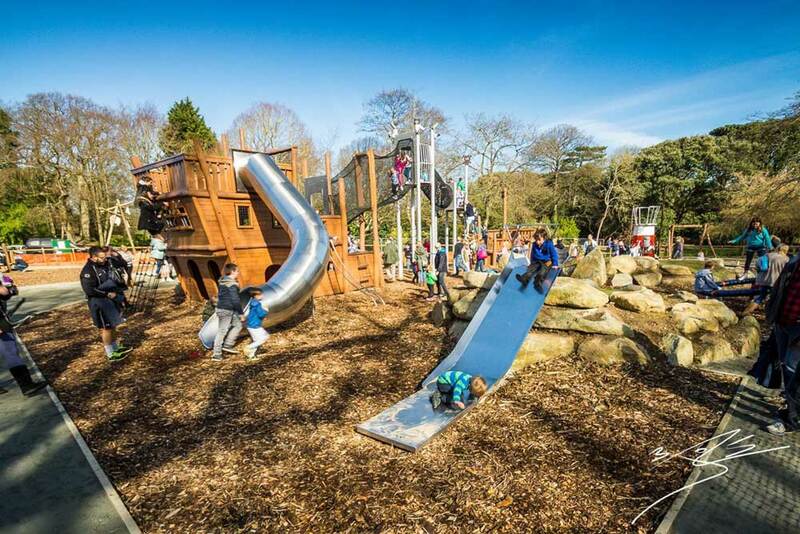 With a dedicated pirates ship, zip wire, real climbing boulders, lighthouse and many more features, we will be taking ‘playgrounds’ to a new level in Guernsey. Phase 3: Wild Water section - subject to fund raising. Phase 4: Outdoor adult training gym - done already! For over 20 years, Guernsey has been looking to create a dedicated skatepark for Skateboarders, BMXers and Scooter riders. When Zef was approached in 2011 to help organise and fund raise this community project, he immediately saw the potential of the idea. Having been a skater in his youth, Zef was keen to provide the same benefits in Guernsey, in terms of fitness, being outdoors and creating new friends of a like minded nature, whilst giving Guernsey a unique tourist attraction for families. Extensive design work was done with the leading skatepark designers Gravity to create a park that would last for over 20 years and offer beginners and advanced alike world class facilities. Maxicorp along with a group of other island businesses clubbed together and with extensive hard work via the Guernsey Extreme Sports Association (GXSA), the result was a £300k hand made concrete skatepark, built by UK skatepark experts Wold and opened by the Lieutenant Governor of Guernsey in May 2013. The Guernsey skatepark is the largest concrete skatepark ever built in the Channel Islands. Guernsey’s Strongest competition is open to all residents of Guernsey (men and women). Each year the competition sees the strongest guys and girls in Guernsey pit their wits against each other in a variety of challenges, very similar to the World's strongest man format. 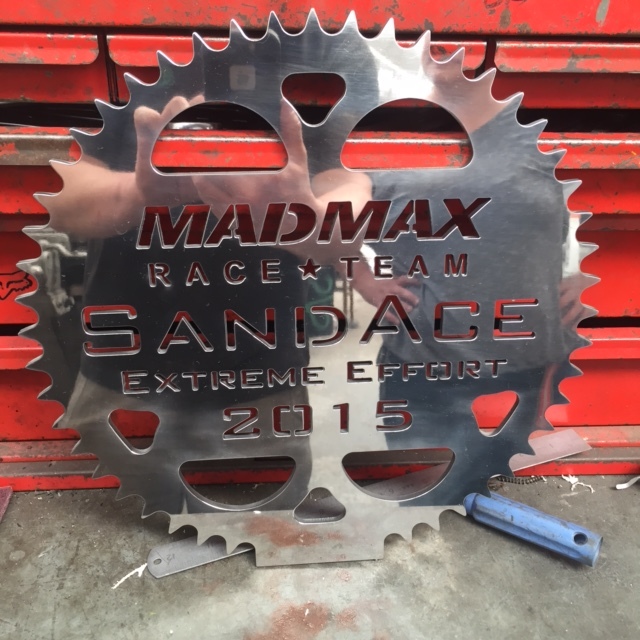 Maxicorp has supported and provided the main sponsorship for this exciting event since 2015. Maxicorp, through its Autosport division ‘MADMAX Race Team’ - has supported the British Championship in Guernsey in 2014, 2015, 2016 and now for a forth year running 2017! Sand Racing has been held in Guernsey since before World War 2 and has been organised by the Guernsey Motorcycle & Car Club throughout its history. Originally modified road machines were used but now highly specialised machines are the norm. In Guernsey Solo motorcycles have been commonplace but in the last two years we have seen the spectacular 1000cc sidecars competing on Vazon Beach. The Solo's are all Single Cylinder 500cc 4 stroke powered machines that run on pure Methanol, they have a 2 speed gearbox NO brakes and are very light, acceleration is phenomenal with a 0-60mph time of 3.4s. The Sidecars are just as specialised, most have 1000cc Superbike engines with the fuel injection and electronics removed and replaced with large carburettors again running on pure Methanol, although there a few 1000cc V-Twin powered machines. 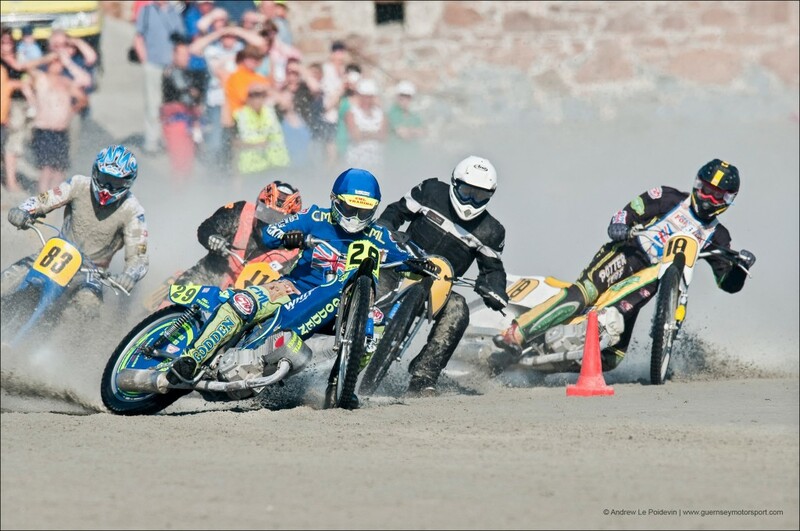 Sand Racing is always fast and spectacular, riders race in very close proximity to each other at very high speeds so a great deal of skill is involved.